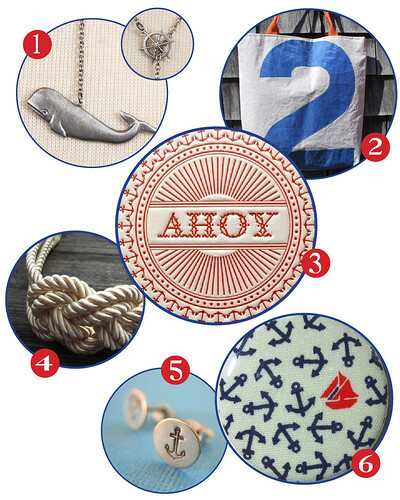 Yesterday the Etsy front page featured a collection of nautical items. It seemed like fate since my boyfriend and I had just signed up for a weekend-long sailing certification in June. Living in NYC makes me miss all the sailing and swimming I did throughout my childhood summers; I am truly a preppy beach bum at heart! Anyway, I thought I would do my own selection of sweet sea-inspired finds from Etsy to get us excited for summer! I was surprised at how many really cool things I came across. Hope you like them as much as I do!